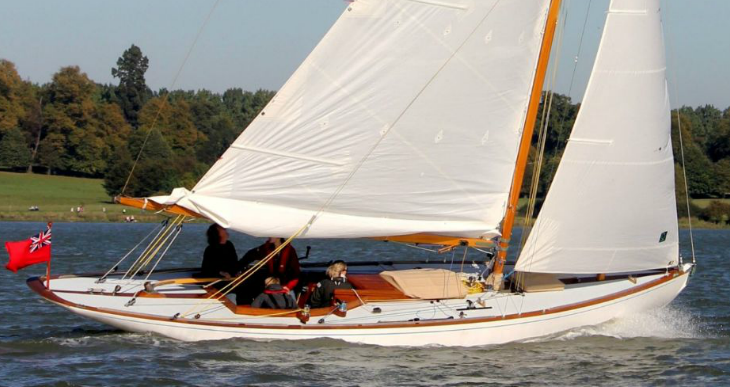 Elegant thoroughbred yachts, originally built as the W Boats as one of the first production cruiser racers, and adopted by a number of yacht clubs around the coast including Lymington, Torbay and Burnham. A total of 32 boats were originally built for the UK market. A further five were built and exported to Argentina as the Los Indios Class, and one was built under licence in Bombay, India. In 1924 the ‘W’ Boats were designed by H. Jacobs and H.G. May of the Berthon Boat Company in Lymington as one-design cruiser racers. Five boats were initially commissioned by members of The (Royal) Lymington Yacht Club and became better known as the West Solent Restricted Class. During the following nine years a further 27 boats were built, until the depression of the thirties put an end to further commissions. 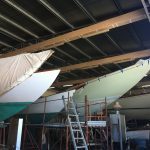 Five additional boats were built and shipped to Argentina for the Yacht Club Argentino. In 1934 ‘Valiant’, now broken up, was built under licence in Bombay. The (Royal) Burnham Yacht Club adopted the Class where they were known as the (Royal) Burnham Restricted Class, and a number of boats were also based at Torbay and Aldeburgh. These ‘W’ Boat Divisions sailed around the coast participating in the various regattas and also team raced against each other. The sail number indicated the Division to which each boat belonged, thus ‘W’ was from Lymington, ‘WB’ from Burnham, ‘WT’ from Torbay. Although much the same size as a 6 Metre the W Boat weighs about a ton more, being about 4.5 tons, and as a result feels more powerful. They are the thirty foot cruiser racer that some yachtsmen had hoped the IYRU Rule would produce when it was created in 1907, but the smallest boat with accommodation built to that Rule is the 8 Metre. The “W” Boats were one of the first production racers and according to Berthon’s promotional literature were laid down ‘in batches. A very complete and carefully made set of moulds, jigs and templates enabled them to produce these standard hulls with exceptional uniformity at a cost little more than half that of designing and building individual boats of similar size and type.’In 1927 they were delivered afloat at Lymington for £600. (A Six Metre at that time cost around £1500 but generally boasted superior workmanship and materials.) They were knockabout racing boats although built in accordance with Lloyds requirements for cruising yachts of those dimensions. Originally they were composite built, and had two bent timbers of rock elm between a pair of oak sawn frames (spaced every 23 inches). Wrought iron floors were strapped on the frames. The planking was red pine, and thirty-nine hundredweight of lead hung on an English elm keel. The deck was tongue and groove pine covered with canvas. In the beginning the Owners Club decided upon a Restricted Class because they were popular in the twenties and thirties. 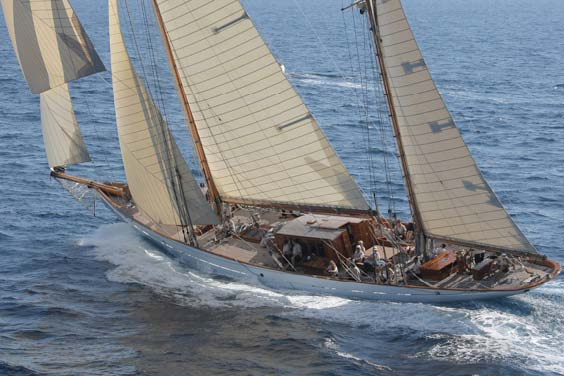 The ‘Sixes’ made the transition from gaff or gunter to bermudan rig between 1919 and 1920, but in 1924 the ‘Eights’ were still racing with gaff rigs and bowsprits. It was thought a restricted class would promote development, and keep the class alive. Originally, however, the boats were sailed with the standard sail plan as designed by H.G.May. The Owners Club recognised the dangers of chequebook racing and in order to keep the running costs down imposed stringent rules. They allowed only one new mainsail each year, and only one paid hand was allowed on board while racing. 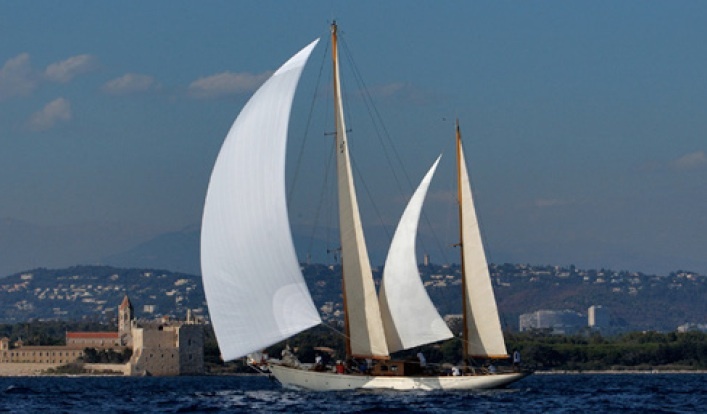 The hulls were one-design, the sail plan was standardised and nothing but the rigging could be played with. In reality there was little scope for development. In the early thirties pressure was exerted on the Owners Club to relax some of the rules. Gradually the boats broke away from their one-design nature. A genoa was permitted. The restriction on spars was changed to a minimum weight rule. The standard sail plan was changed to a standard actual area, and reduced from 575 to 530 square feet. Owners experimented, moving their mast positions to change the centre of effort, and adopted various rigs which even included a wishbone gaff and a wishbone boom. By 1936 the boats had truly became a Restricted Class at last but it resulted in the ultimate demise of the class because of the costs involved in keeping boats competitive. 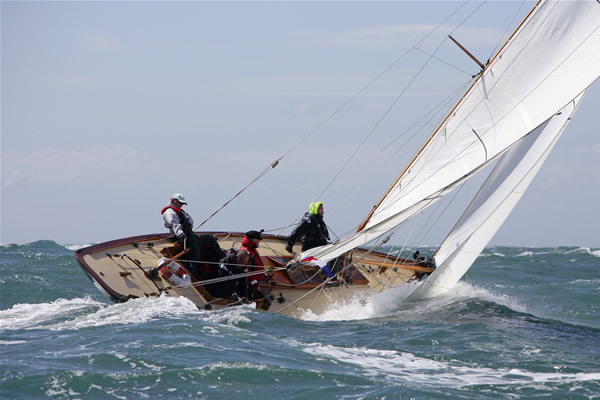 Nevertheless, the Class raced on until the late fifties, numbers falling from the high twenties in the early days until only eight appeared in the Torquay Regatta of 1949 and only six raced in Abersoch under the South Caernarvonshire Yacht Club auspices until the late fifties. 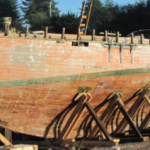 Many of the boats had slipped away to be converted into cruisers, and suffered the indignities of dog houses, engines, self-draining cockpits and sometimes even a second mast. 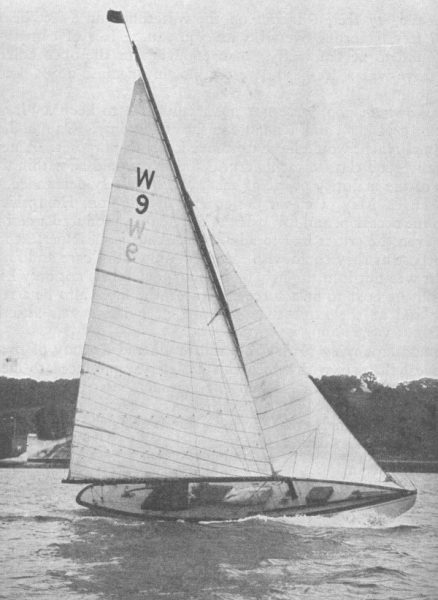 ‘W’ Boats were represented in the early Round Britain Races and other offshore events. In the late seventies one made it to the West Indies and back. Their ability to make such passages exemplifies their cruising abilities. The resurgence of interest in the Class began slowly in the late seventies with two boats on the River Blackwater in Essex. Over the following fifteen years eleven more boats joined the fleet. Unfortunately many of the boats had different sail areas and races were often decided by the lottery of the weather. This was unsatisfactory, so an association was formed so that owners could agree rules and scantling measurements. The “W” Boat Association was formed in 1993 and voted to return to the one-design character of the early days in the interests of economy, simplicity, and fair racing. In 1996 the Association learned that the last Secretary of the West Solent Restricted Class Owners Club, Mr J.C. Wood-Mallock (Blue Haze, WB15, 1952-1960) was still holding office and possessed all the Minutes of the Club from its 1924 inception and so an important piece of history returned to the Association. 1996 also saw the W Boat Class adopted as a separate racing class at the West Mersea Yacht Club. 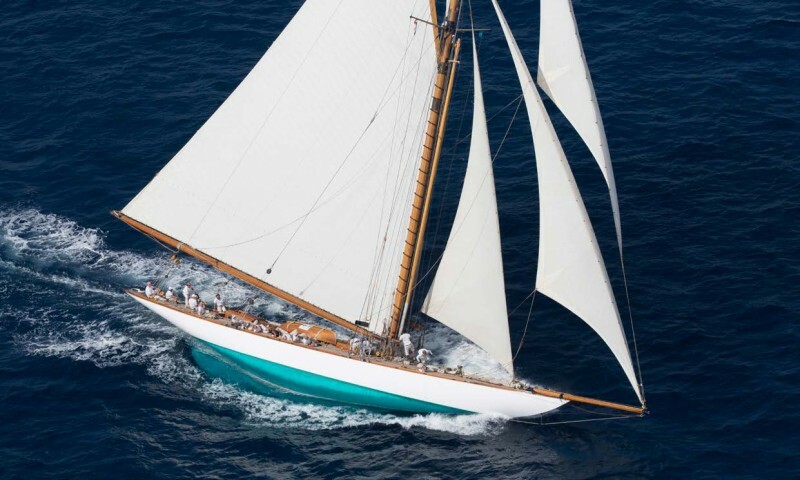 They participated as a class in a number of regattas around the coast until the 50’s whilst their distinctive classical lines sometimes earned them the nickname of the little J-Class. A resurgence in interest in the class in the 90s and early 00s, particularly around the East Coast, resulted in a number of boats being sympathetically restored to the early one design rules whilst using modern boatbuilding techniques to solve some of the fundamental structural problems of the original boats. Others are currently under restoration or awaiting new owners seeking projects. In 2010 the lovely new Winnie Marie W-39 was launched. 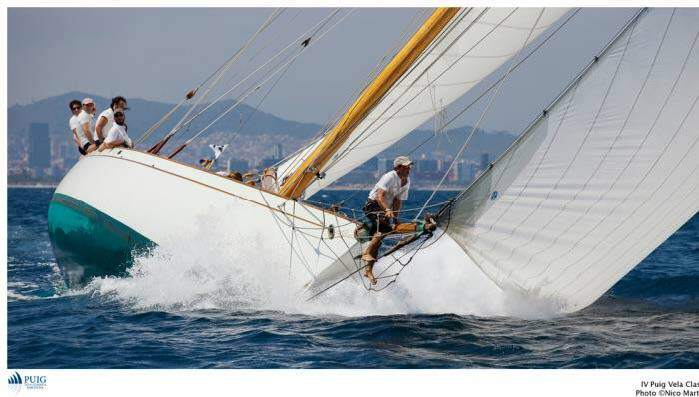 Something of a purist’s boat with a big rig, running backstays and normally engineless, they offer a superb sailing experience in all conditions, and gather appreciative glances and comment as one of the most beautiful boats around, in whatever company. 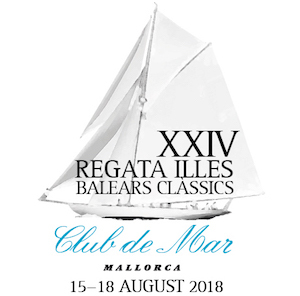 Whilst the current fleet is a bit scattered, a number regularly participate in regattas and local races, both in classic events or racing to IRC or local handicap amongst modern raceboats where, given the right conditions, they can carry away the silverware. 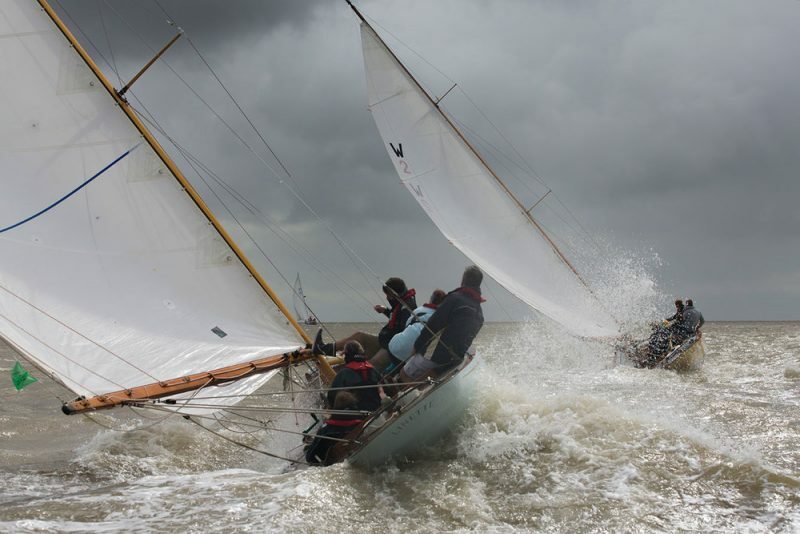 Highlights of the season are the Levington Classic Regatta in June and Mersea Week in August. LOA m / ft: 10.5m/34'6"
LOD m / ft: 10.5m/34'6"
Beam m / ft: 2.3m/7'6"
Draught m / ft: 1.5m/5'15"